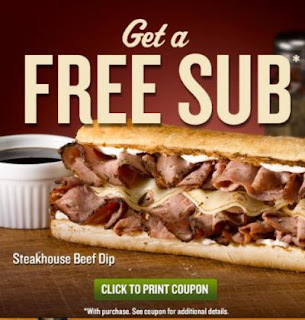 BOGO Sub coupon from Quiznos. Buy one sub & a drink get one sub free. Expires Jan 28th, 2013.